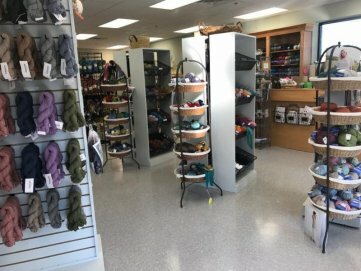 Black Sheep Yarn Shop is dedicated to providing knitters, crocheters, and other fiber enthusiasts a fun, relaxing environment to work on projects and find the supplies they need. We love yarn and we want to share our love with everyone who walks in our shop! We are expanding our weaving and spinning offerings, both for supplies and classes. We are Schact, Kromski, Ashford, and Louet dealers. Browse the looms and wheels in-store and sign up for our emails to hear about all of our upcoming class offerings. We are conveniently located in Timonium, Maryland, off of I-83, Exits 16 or 17. We serve the Greater Baltimore Area. With our inviting sitting-room style work space and our relaxed shopping atmosphere, there’s not a yarn shop around like us! We welcome seasoned handcrafters and beginners alike! Our staff is more than willing to help you out with current projects, or give insight for items you’re planning on making. We love to share our experiences and knowledge! 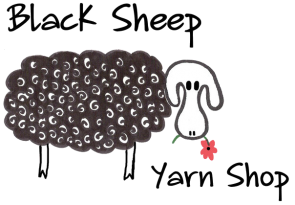 If you love to design, create, and learn, you’ll love Black Sheep Yarn Shop!